Temperatures below and above average. Over dinner, I was offered an opportunity to encourage a fellow American to think critically about climate change and to look into some inescapable facts. Instead, I took the easy way out, hoping, I guess, to enjoy my meal. But if we can’t talk about one of the major issues of our time and try to find common ground, how can our society confront the future? So I’ve made a commitment to find better ways to talk about climate change, especially with those who have alternative views. In the Yale survey, people offered various reasons for not talking about climate change. Some said the subject just never comes up in conversation, while others said their family and friends are not interested. Some said people they know already agree on the topic, while almost as many said they don’t know enough to talk about it. About one-fourth of those surveyed said the issue is too political. The latest survey, conducted in March, demonstrates a growing concern about climate change. Americans who believe global warming is happening outnumber those who think it is not happening by 5-to-1. A recent Gallup survey concluded that people’s views on climate change is growing more politically divided as time goes on, with Democrats increasing their concerns about the issue while Republicans are growing less concerned. “President Donald Trump, who has called global warming a ‘hoax,’ may have contributed to this widening divide by reversing a number of government actions to address the issue,” states an accompanying article by Megan Brenan and Lydia Saad. “These included the announcement that the U.S. will withdraw from the 2015 Paris climate accord, the removal of climate change from the list of top U.S. national security threats, and the elimination of the terms ‘global warming’ and ‘climate change’ from U.S. government websites and lexicons,” they wrote. Some 91 percent of Democrats say they worry a great deal or fair amount about climate change, compared to 33 percent among Republicans. More than two-thirds of Republicans say they worry only a little or not at all. Still, overall, two-thirds of all Americans think global warming is happening, and 45 percent think it will pose a serious threat in their lifetimes — the highest level recorded since the survey began in 2001. Clearly, if we hope to address the problem, we should try to knock down the partisan divide and any other divisions that keep us from dealing with actual facts — which are not, as some people seem to believe, a negotiable concept. The scientific method is based on the idea that people can compile information in a fashion that leads to conclusions, which can be tested and refined and eventually accepted by all. When confronted by uncertainty, scientists tend to gather more data until the puzzle pieces fit together. The same process should work to come to a consensus about issues related to climate change, but some people have developed a tendency to doubt the findings of mainstream scientists. 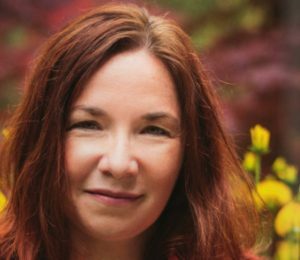 Recognizing the problem, climatologist Katharine Hayhoe has spent a lot of time trying to bridge the communication gaps. She uses facts but also personal connections. Scientists can be more effective communicators by bonding with people over common values, she said. If not religion, they could share parenting experiences. They may enjoy the same outdoor activities, worry about finances or be concerned about national security or water resources. One can talk about the changes one sees in the weather and how voluntary efforts are saving water and energy while reducing the risks of climate change. Government policies are trickier, because they begin to impose on some people’s values regarding regulations and taxation, but these are the discussions that should be open to debate once the problem is defined. Bond: To find common ground, talk about what’s most important to you: your family, community, faith. What do you have in common? Concerns about health or jobs? Shared experiences as parents or neighbors? Connect: Talk about how climate change affects the things that everyone cares about, close to home, with local, personal examples. You could, for instance, discuss how smoke from regional wildfires filled the air across the state and triggered asthma in your neighborhood. Inspire: Talk up real-life projects that help people and produce clean energy — and save us money, waste or time. Link success stories to shared values. Wind energy keeps local farmers profitable and resilient, protecting farmland and bringing much-needed jobs and economic investment to rural areas. A conversation about climate change — or religion or politics — might not be as painful as people imagine, according to Ed Maibach, professor of communications at George Mason University, who was quoted in the Popular Science article. 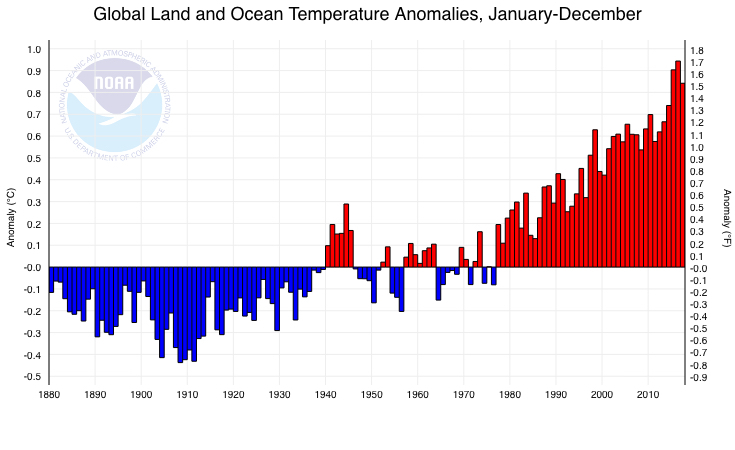 Dear Mr. Dunagan – Excellent article with good advice on approaching climate change topics. I’ve worked in enviro non-profit arena for over 10 yrs and I know how difficult it is to gain ground on many enviro topics even showing definite proof of pollution and its affects. Seattle and surrounding communities have an educated population so one would ask “why” are people so reluctant to discuss climate change let alone embrace tactics to offset future affects? I would say that it is fear of the unknown is the factor that has us stopped in our tracks. We are afraid that no matter how much we do today to ameliorate the affects, it may be too late to change what is coming and the thought of the impact on our future generations is more than we can cope with on a daily basis. I’ve been picturing the new lifestyle…living below ground to stay cooler and wondering what will happen to people when land masses begin to shrink due to rising oceans. What about the current evidence of changing ocean Ph levels that are killing oyster seedlings? It seems there is no escape. I believe that we are all grieving right now. The world needs a leader that is fearless and brings solace and answers. One of the ways that I have chosen to stand for future generations is to show climate change documentaries that highlight the evidence but also show positive and constructive ways to change our lifestyle to accommodate the coming change, i.e., adding solar and wind projects, reducing dependence on fossil fuels, etc. These documentaries are followed by engaging community in conversations to educate and activate neighbors in ways to get involved in solutions. You can find out more about this project at meaningfulmovies.org. Thanks for the article.